A former volunteer fireman who had an compulsive need to be recognized as a hero, registered nurse Richard Angelo eventually hit on the perfect scheme to feed his obsession. He began creating emergency situations by overdosing patients at Good Samaritan Hospital in Long Island. Working the 11 p.m. to 7 a.m. shift gave Angelo the perfect opportunity to do this. But in late 1987 administrators at the hospital began to become alarmed at the high number of deaths in the intensive care ward. Six patients died between September 16 and October 11, leaving doctors bewildered. All had appeared to be recovering well. Then, on October 11, patient Girolamo Cucich was approached by a bearded nurse who injected something into his intravenous tube. He immediately began to have difficulty breathing, but summoned enough strength to press the buzzer and summon help. It was determined that Cucich had been given a shot of Pavulon, a muscle relaxant. After police were called they questioned Richard Angelo, the only bearded nurse on the night shift. A search of Angelo’s hospital locker turned up hypodermic needles and supplies of potassium chloride. At his home, detectives found several vials of Pavulon. 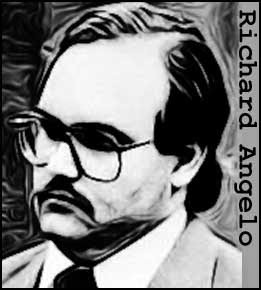 Arrested on November 15, Angelo confessed to several murders. He was eventually sentenced to 61 years to life.